Here are some personal sharing of my first hand experience of toy collecting for more than a decade. Hopefully this will give you something to take note as a toy collector. One ideal many collectors have is keeping the collection mint in packaging. However something are not built to last. One of my example of Mint in packaging (MISB). I got this Hasbro Starwars card collector edition figure back in 2007 and I keep it out of sunlight in my room. However the plastic packaging still turn yellow over time. Here is a video of it as you can see there are more than plastic turning yellow. In all fairness, the toys inside which is the Darth Vader condition is still good. No sticky or broken part. But if you want the packaging intact, then this is likely to happen over time. 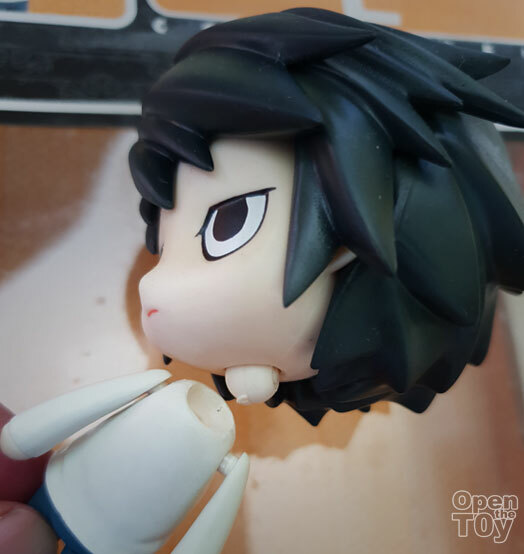 As I was doing annual cleaning, I took out the Good smile Company Nendroid Death Note L. It was opened years ago but I put it back into packaging and after years of storage away from Sunlight, it still turn sticky. As I was cleaning it, the worst thing happened. Without applying any much strength, the neck joint broke off. You can see the joint can no longer fit back and I cannot even remove the joint as both end was stick on each part. Basically this toy lost an articulation. I hardly play with this toy beside taking some photography years back. Being sticky and with a broken joint, guess what will happen to this toy? 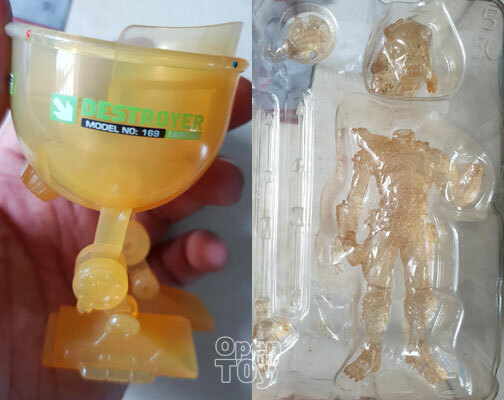 Now Transparent parts are cool but I have been warning toy collector stop going for transparent toys as it will turn yellow and there is no better way to convince you but with LIVE example. Below is a Ciboys transparent mech and a transparent predator. Even it was away from sunlight, you can see parts turning yellow. If you are going for value, then such example above will totally burst your dream. In short, as a season toy collector, I would advise that you think twice if you are into value of investment even you have good storage. Basically most commercial toys are not build to last due to cost. Then again even high end toys a decade back are also having the issue after years of storage. That set me thinking, does it make sense to collect toys? What I concluded is that if you buy toys, play with it. And if the price is high, consider such possibility if you still want to collect it. End of the day, Return Of the Investment count. Share this with your friends who are in toy collecting. maybe it will let them think twice when the toy they are collecting is going into hundreds of dollar. Feel free to share your experience in our comment too!